The Arctic region is transforming rapidly from a peripheral region to a global theatre with increasing number of non-Arctic stakeholders. One illustration of this process is the growing presence of China in the Arctic. Beijing released its first official Arctic governmental paper in January 2018. This White Paper was the culmination of a long process, which China undertook over the past decade to demonstrate its growing knowledge of, and commitment to, the Arctic region in order to be accepted as an Arctic player despite its lack of geography north of the Arctic Circle. Thus far, the responses to Beijing’s Arctic strategies have been mixed, and have been viewed differently in various parts of the Arctic region. The seminar examines China’s evolving Arctic policy and the country’s diplomatic, economic and strategic presence in the region, as well as the ramifications in Finland. The seminar marks the publication of the report China in the Arctic funded by the Government Plan for Analysis, Assessment and Research. 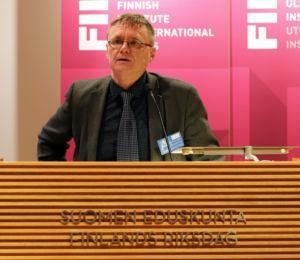 Timo Koivurova is Research Professor and Director of the Arctic Centre at the University of Lapland. He has specialized in various aspects of international law applicable in the Arctic and Antarctic region. In 2002, Koivurova’s doctoral dissertation “Environmental impact assessment in the Arctic: a Study of International Legal Norms” was published by Ashgate. Increasingly, his research work addresses the interplay between different levels of environmental law, legal status of indigenous peoples, law of the sea in the Arctic waters, integrated maritime policy in the EU, the role of law in mitigating/adapting to climate change, the function and role of the Arctic Council in view of its future challenges and the possibilities for an Arctic treaty. He has been involved as an expert in several international processes globally and in the Arctic region and has published on the above-mentioned topics extensively. Adam Stepien is political scientist working at the Arctic Centre of the University of Lapland in Finland. His research interests include Arctic governance and Arctic cooperation, in particular the role of the EU in the Arctic, which is the topic of his ongoing doctoral project. 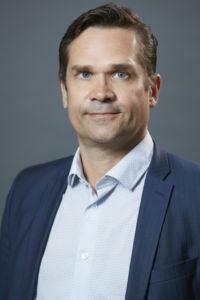 He has been involved in a number of policy advice projects for the European Parliament, the European External Action Service and Finland’s Prime Minister’s Office. He authored articles, book chapters and reports on Arctic Council, Sámi politics, development cooperation with and for indigenous peoples, Arctic economic developments, Nordic Arctic innovation and on the EU Arctic policy. Recently, he has been working on development strategies in Arctic regions and the prospects for innovation, knowledge-based economy and endogenous entrepreneurship promotion in the northernmost part of Europe. 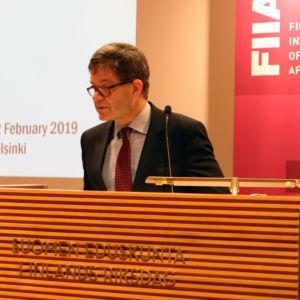 Arto Haapea is Team Leader for East Asia and Deputy Director at the Unit for Eastern Asia and Oceania at the Ministry for Foreign Affairs of Finland since August 2017. Prior to this, he worked as Political Counsellor at the EU Delegation to China and Mongolia in Beijing, and as Deputy Consul General in Shanghai. Since joining the Foreign Ministry in 2006, he has also served as adviser to the Minister for Foreign Trade and Development, at the Finnish Embassy in The Hague, and as Legal Adviser at the Finnish Permanent Mission to the United Nations in New York. He holds a Masters degree in Law from the University in Helsinki (2004). 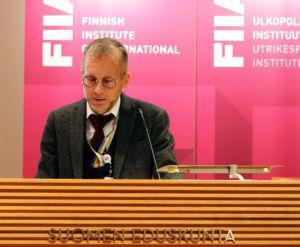 Jyrki Kallio is Senior Research Fellow at the FIIA. 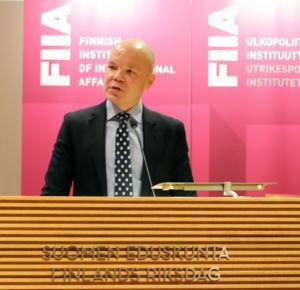 Prior to joining the Institute, he worked for fifteen years as a diplomat in the Ministry for Foreign Affairs of Finland. 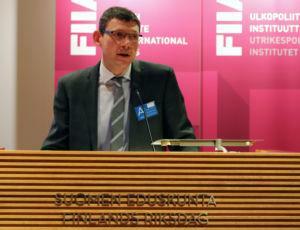 In 2008–09 he represented Finland in the Arctic Council in the capacity of acting Senior Arctic Official. His research interests include Chinese political culture and foreign policy, and regional issues in East Asia. He has a special interest in the instrumentalization of traditional schools of thought in East Asian politics, and is the editor and translator of Mestari Kongin keskustelut – Kungfutselaisuuden ydinolemus (Gaudeamus). He received his PhD in Chinese Society Studies from the University of Lapland.